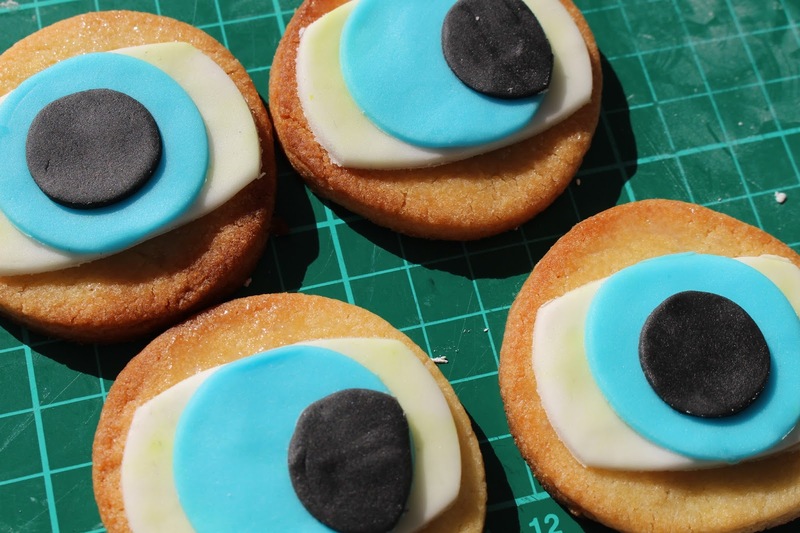 Halloween is fast approaching so why not delight your ‘trick or treaters’ with some delicious spooky eyeballs! I won’t lie, these do take a little bit of time to make. 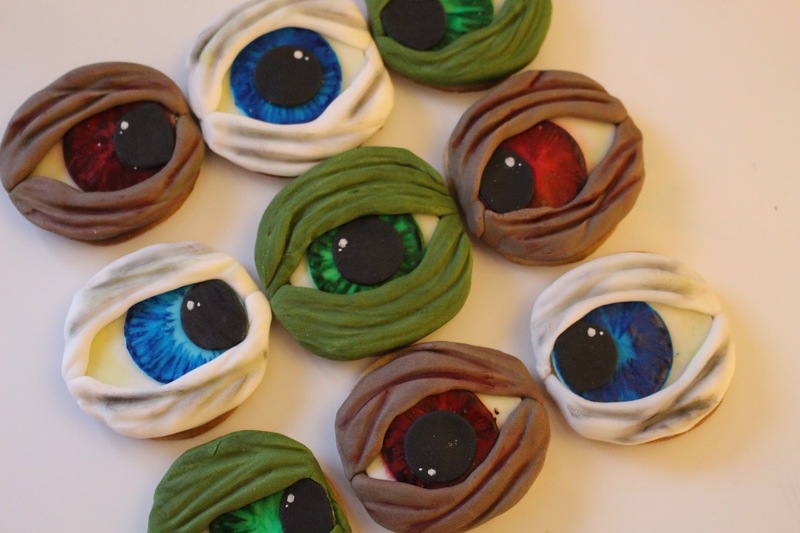 But I am sure you will agree, the finished cookies look awesome! 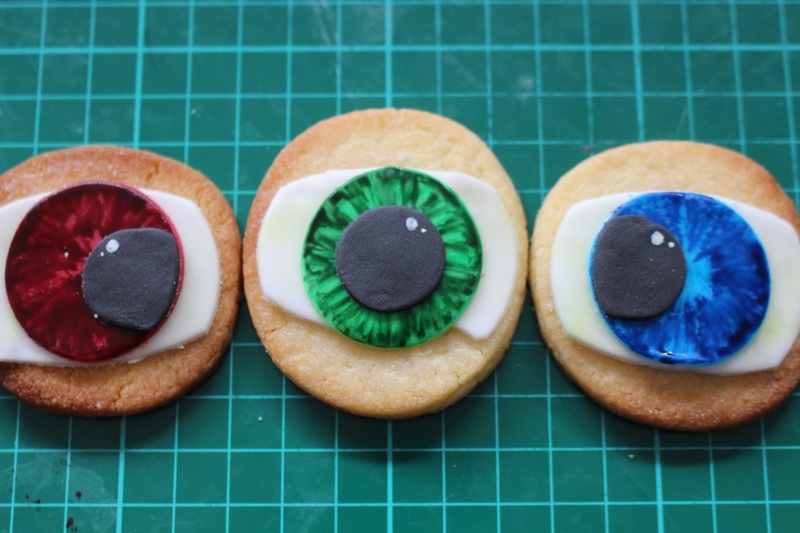 You don’t need many tools to make these cookies – I forgot to take a photograph of the equipment but here is the list. 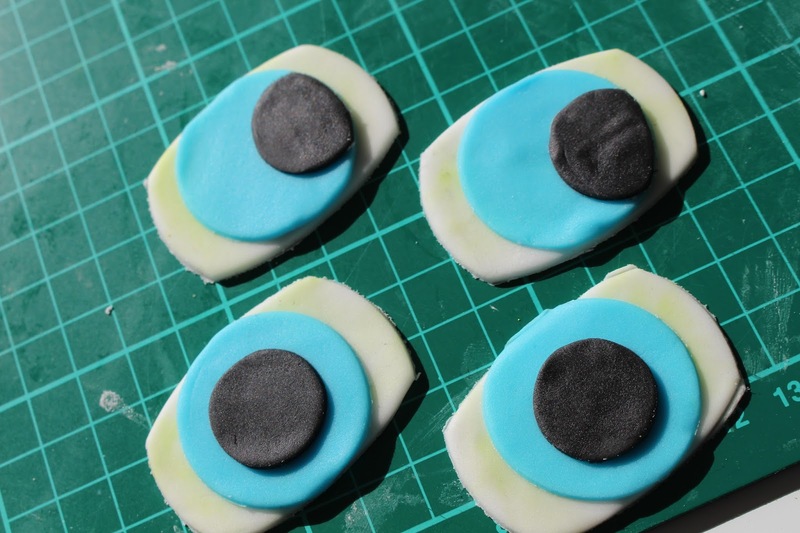 – Sugar paste/ fondant you will need a few colours – eyeballs: black, white, blue, green and red. Monster skin: Green, Zombie skin: reddy grey. 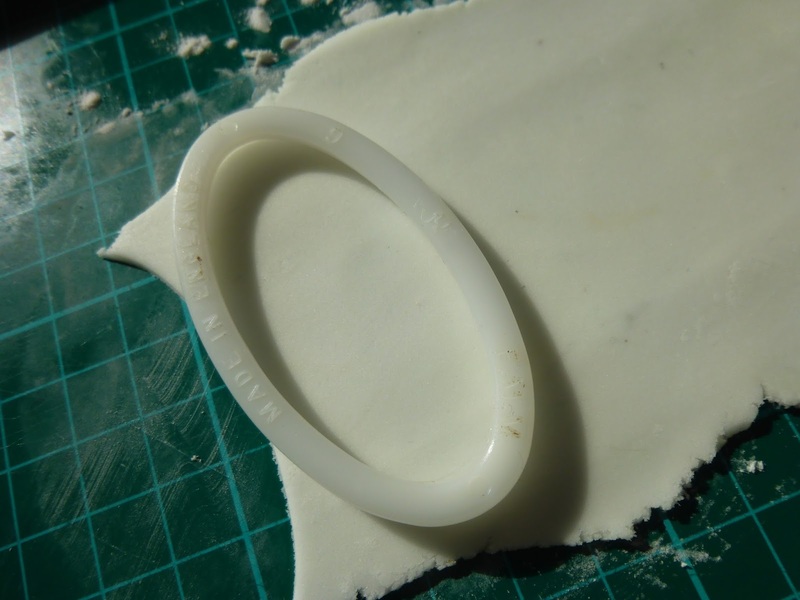 Mummy bandages White. 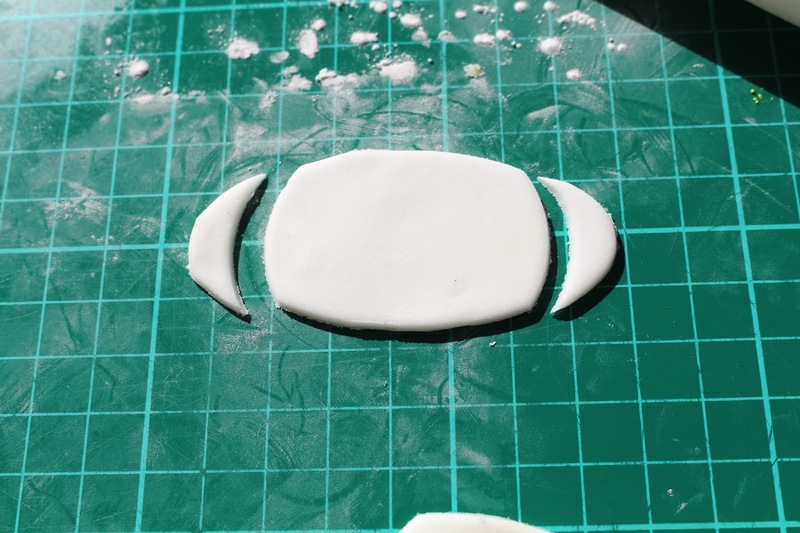 Roll out your white sugar paste and cut out an oval which will sit across the middle of your cookie. 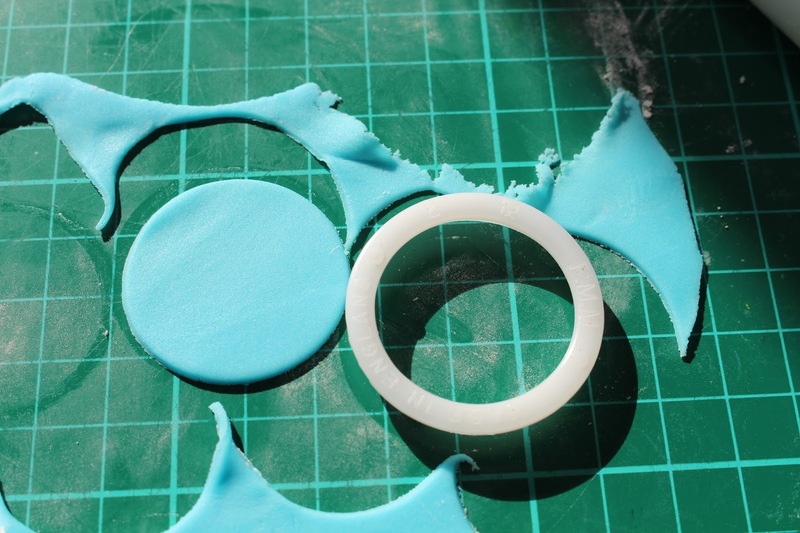 Using the cutter which is the same size as your cookie, trim off the outer edges of your oval. 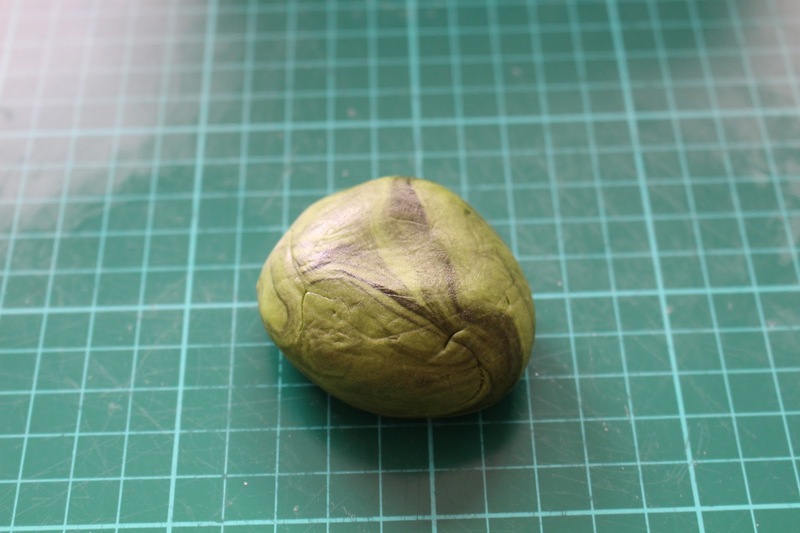 Using a mixture of green and yellow, with a soft dry brush discolour the eye-ball slightly – You do not need to do this step if you don’t want to! 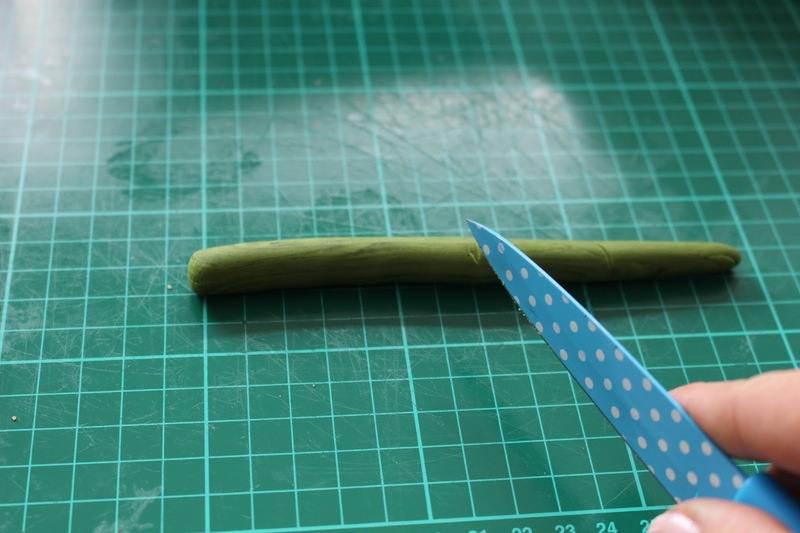 With your small round cutter, cut circles in the desired iris colour. Now cut out your pupils. 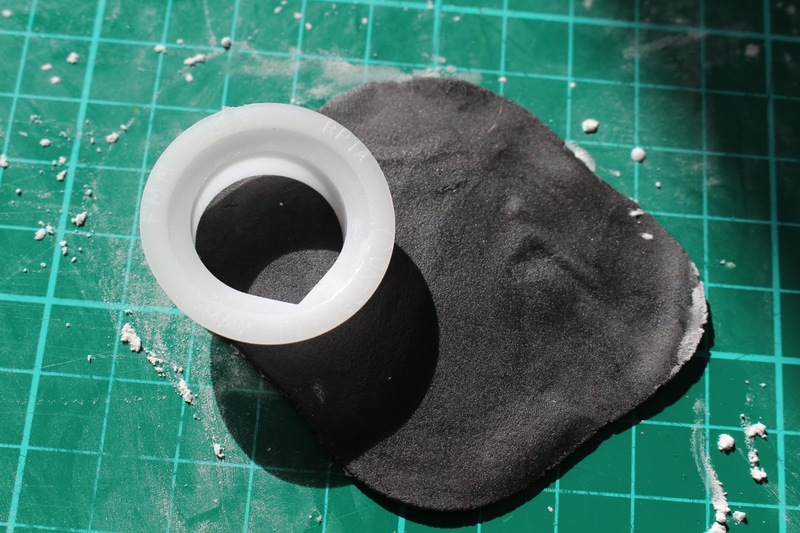 Take your black sugar paste and roll it out, using the smallest circle cutter. 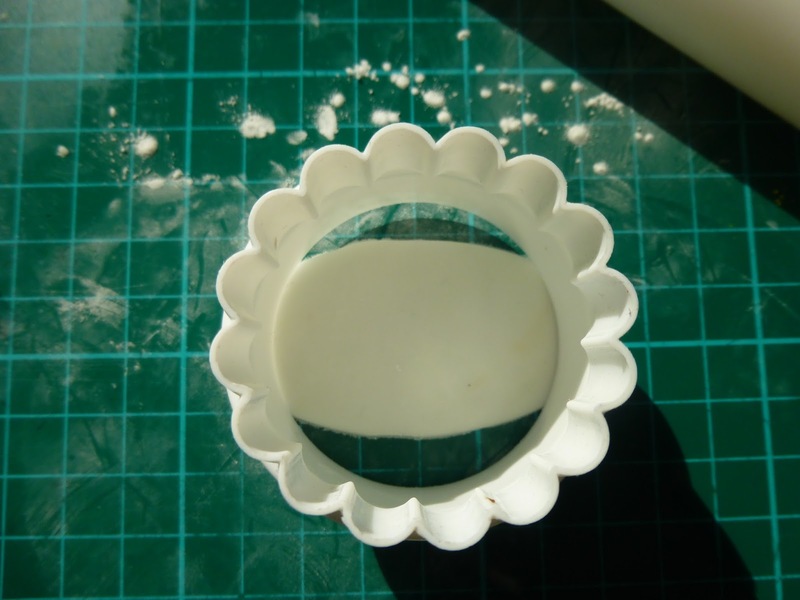 I have lost mine so I used the smallest rose petal cutter I had, you can see in the picture how I used the cutter again to remove the teardrop shape. 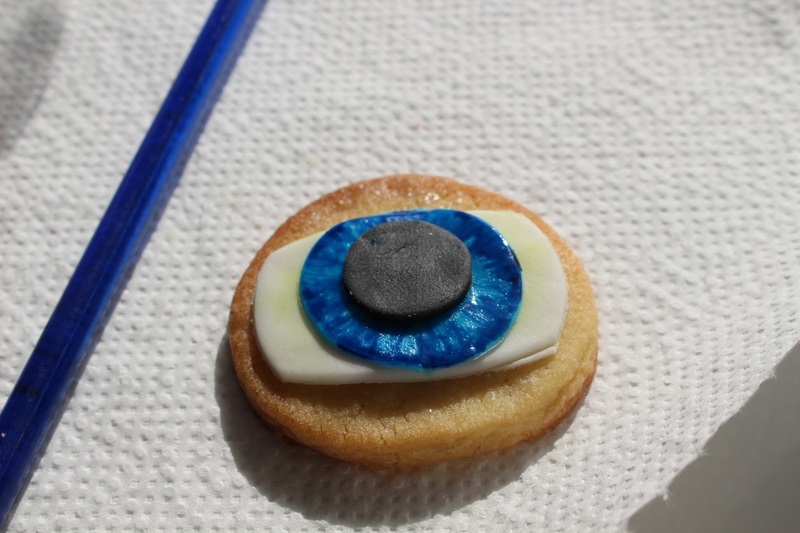 Fix the iris to the eye-ball using water. Do not fix the pupil in place just yet! 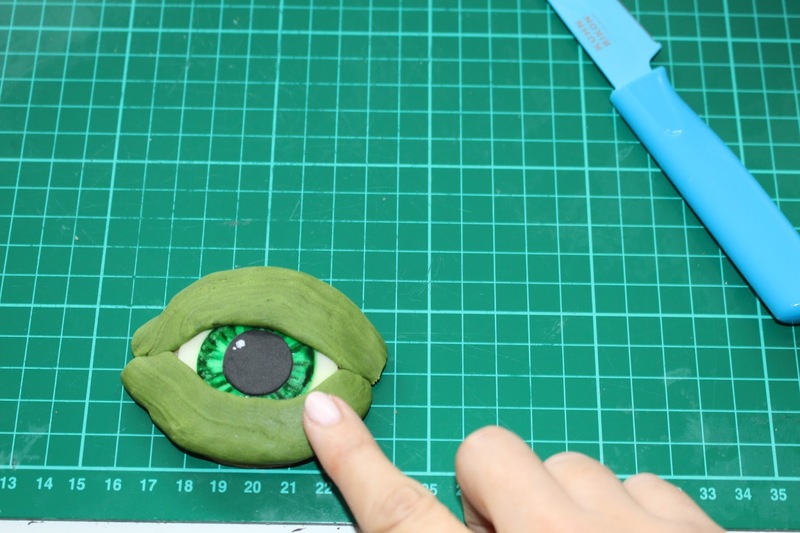 You may want some of the pupils looking off to one side, simply use the larger circle to cut off part of the pupil. 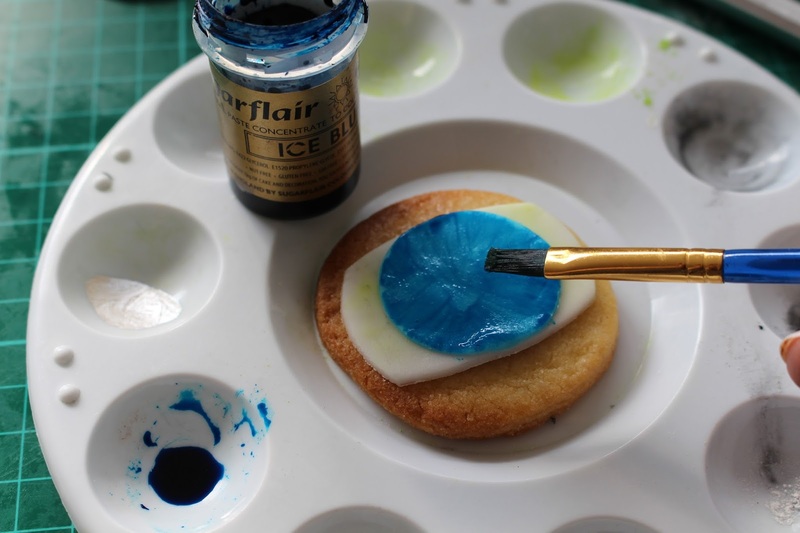 Mix a small amount of food colouring with a couple of drops of water to make a watery paint. 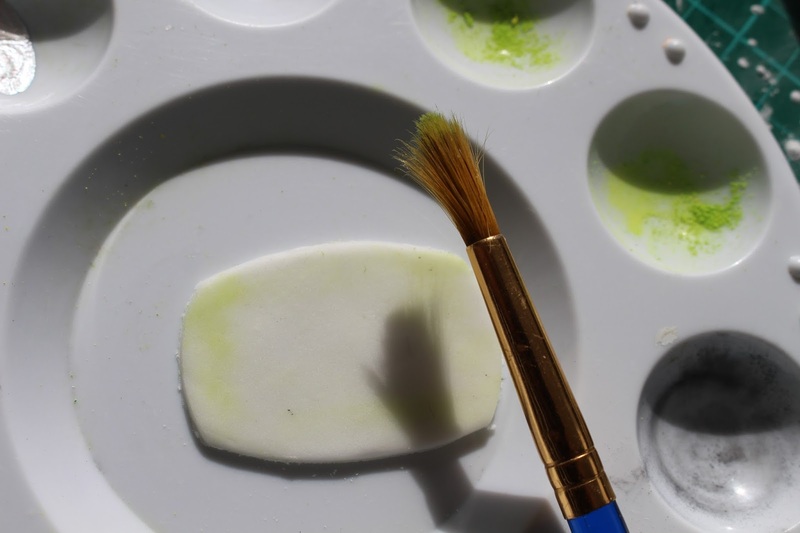 Using the medium flat paintbrush paint inwards towards the centre. Add a little more of the food colouring to make a much darker colour. Paint around the outside edge of the iris. 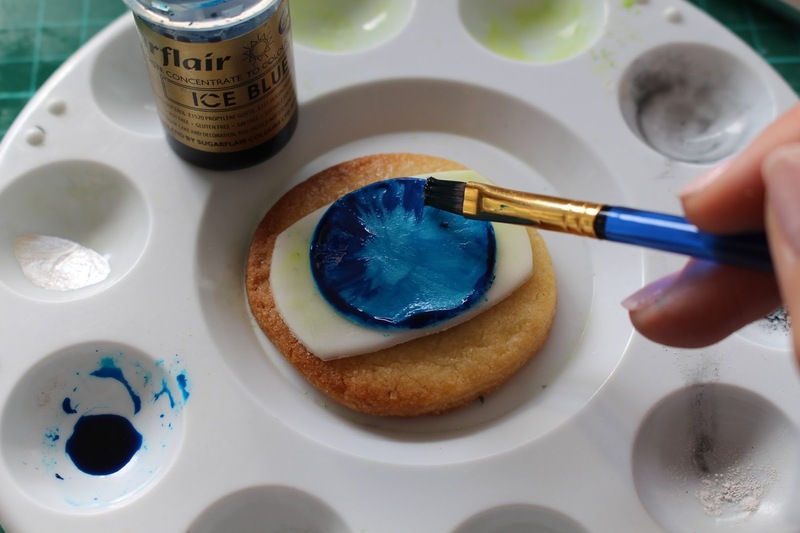 Once you have done this using the edge of the paintbrush drag the colour inwards towards the centre – leave some gaps, you do not want your entire eyeball to be the darkest colour. 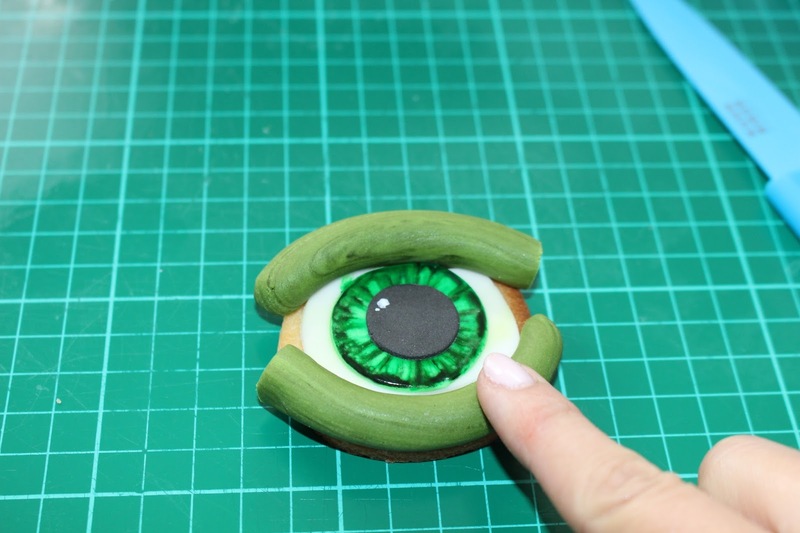 You can do this with any colour of eye-ball. 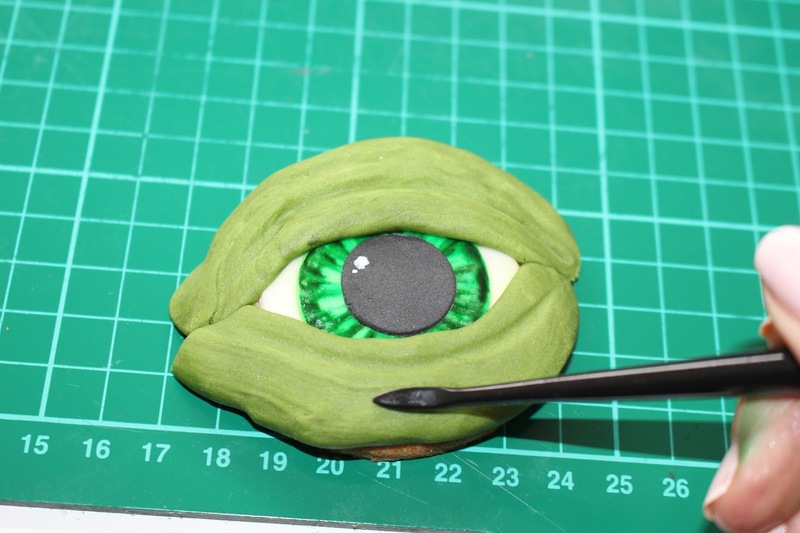 Fix the pupil into the centre or the edge of your eyeball. 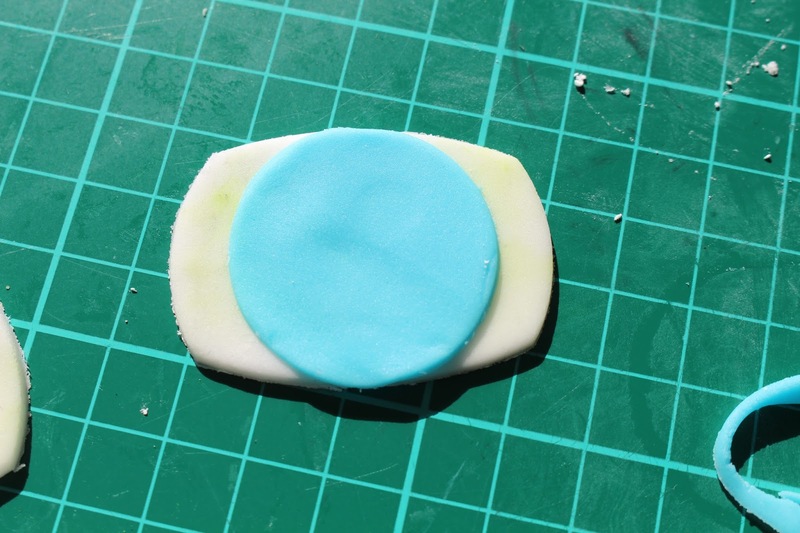 To make the eye lids – roll out your coloured sugar paste until it is about 1cm thick. Cut this a little longer than the top and bottom edge of your cookie. 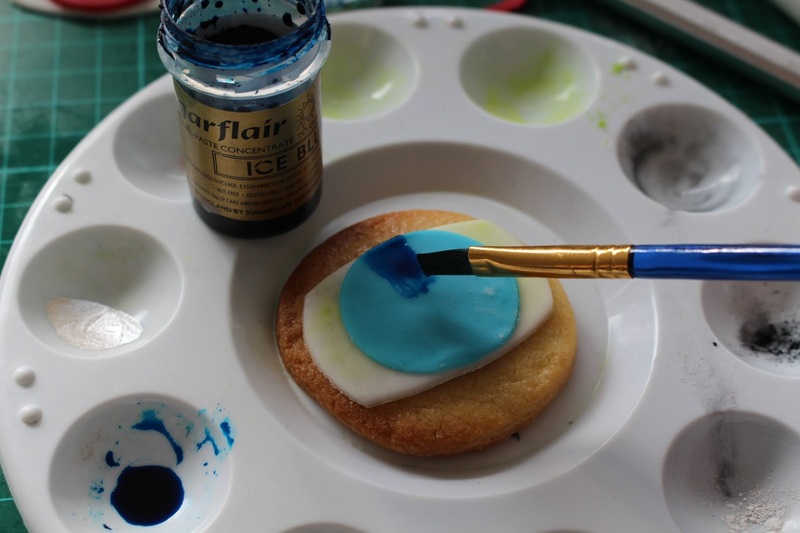 Fix both top and bottom to the cookie using water. 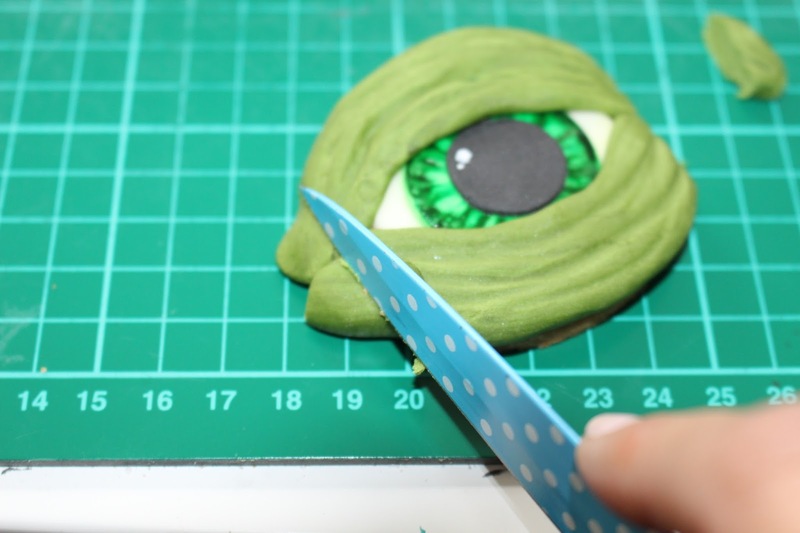 Gently press down the sugar paste until it is flat – do not worry about it going over the edge of the cookie at this point as we will trim it later. 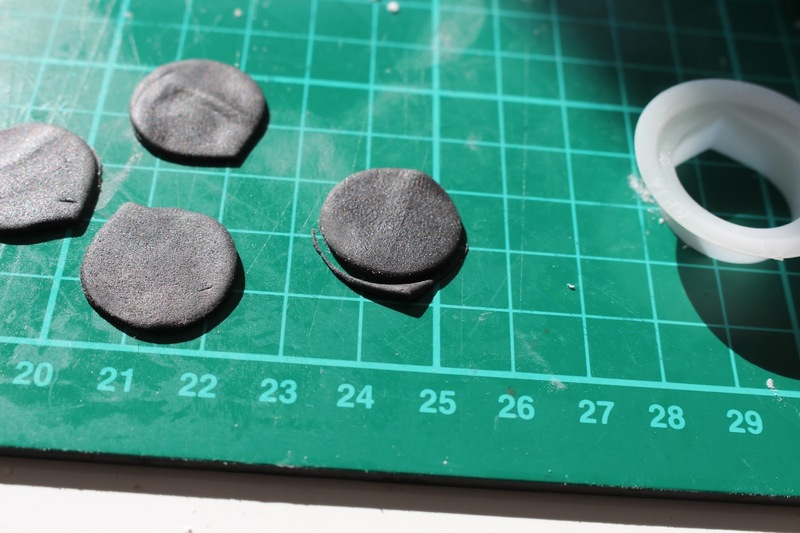 Using a bone tool put some wrinkles into the eyelids. 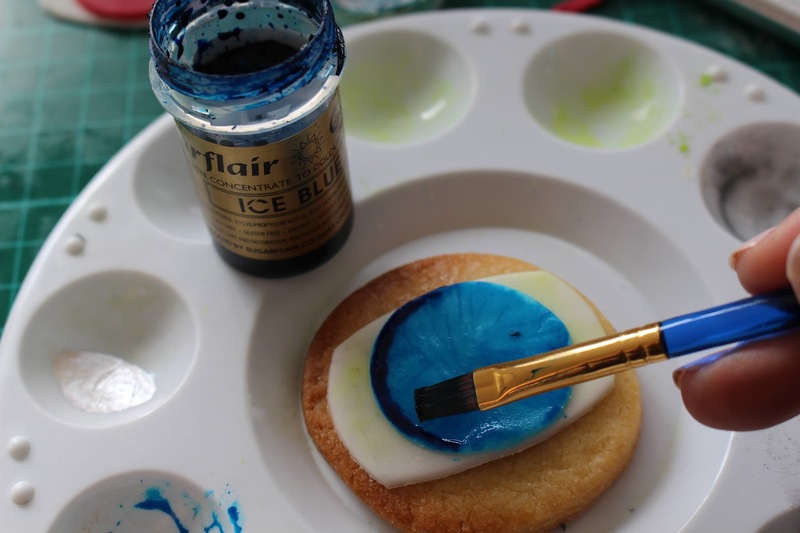 Finishing touches – using a small paintbrush and white colouring add a reflection dot into the corner of the pupils. To finish the zombie eyes I used some red dust in the wrinkles, and with the mummy eyes I used some black dust to highlight the wrinkles. 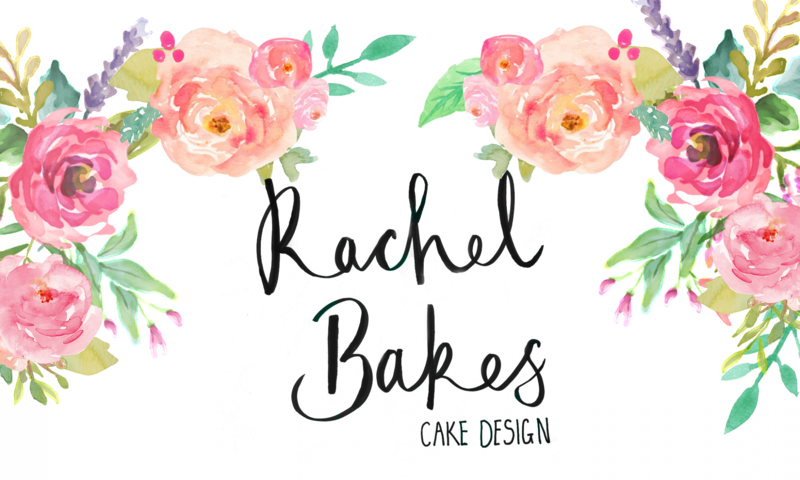 If you have any questions please feel free to ask in the comments below – or feel free to show me your creations too!